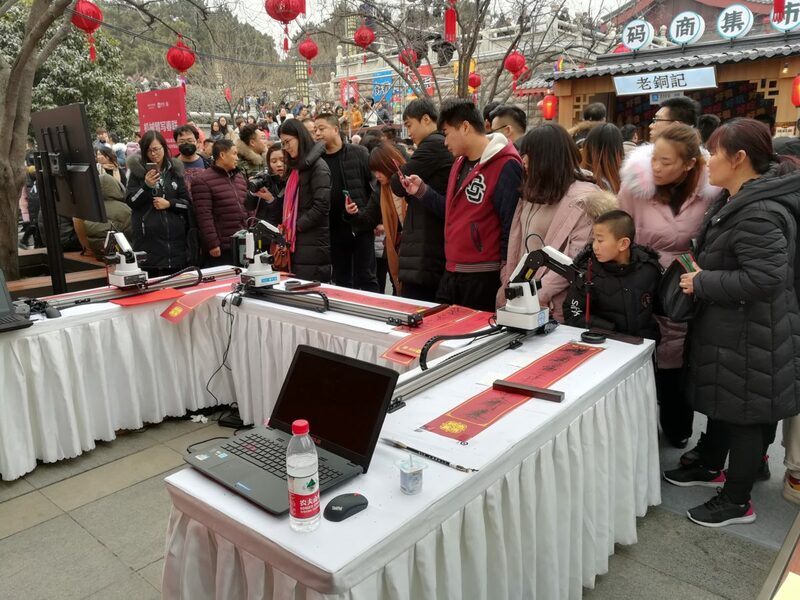 On January 26-28, 2019, Alipay held a fair for vendors that use QR code to do business in the Big Wild Goose Pagoda in Xi'an. The three-day market brought together the most popular small enterprises, the most cutting-edge technology like AI and calligraphy robot and the most interesting Xi'an experience. 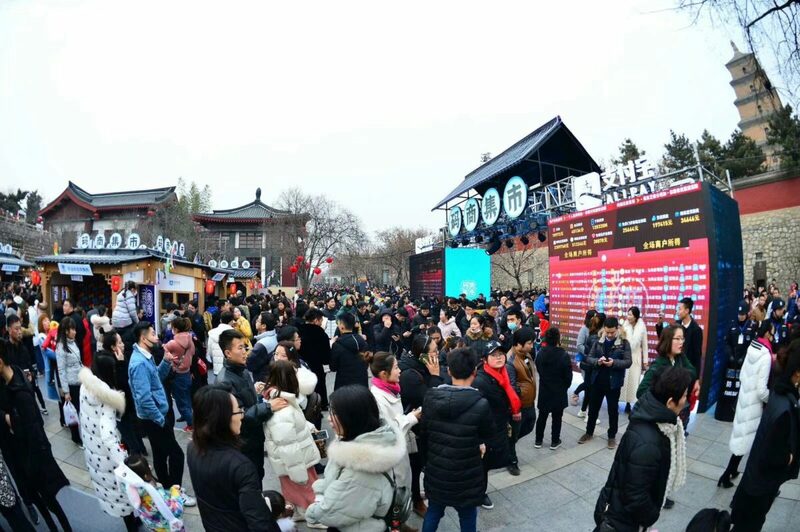 More than 30 popular vendors gathered in Xi'an, a city that is reported to have nearly one million code dealers, to show their vitality and creativity. 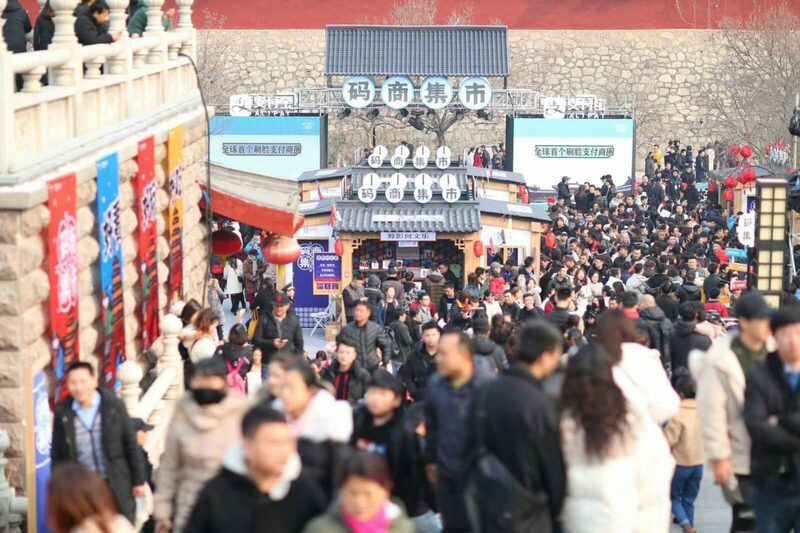 Various types of delicious food, fantastic shows and amazing experiences are very popular among the citizens and tourists. At the fair, visitors can experience the most cutting-edge techs in person and enjoy unique experiences for entertainment, ranging from the Ms. Yang barbecue from the documentary "The Story of Chuan'er" to cyber celebrities like Brother Pomegranate. Techs like Payment via facial recognition, melon detection and calligraphy robots are real and practical daily applications that on-site consumers can easily connect with and understand the tech applied. Take Alipay AI value scale for example, it utilizes an interesting and interactive way to measure the future value of a person and demonstrates it in real time, giving consumers an intuitive and fun experience. In the section for interesting stuff, a robotic arm that can write Chinese calligraphy confidently moved the brush in its hand, dipped in the ink and wrote on the red paper. Every stroke was exactly in the right place and altogether formed several pairs of Chinse couplets full of New Year blessings. The red couplets with black Chinese characters on it attracted tons of people to stop and watch the magic show of calligraphy robot. 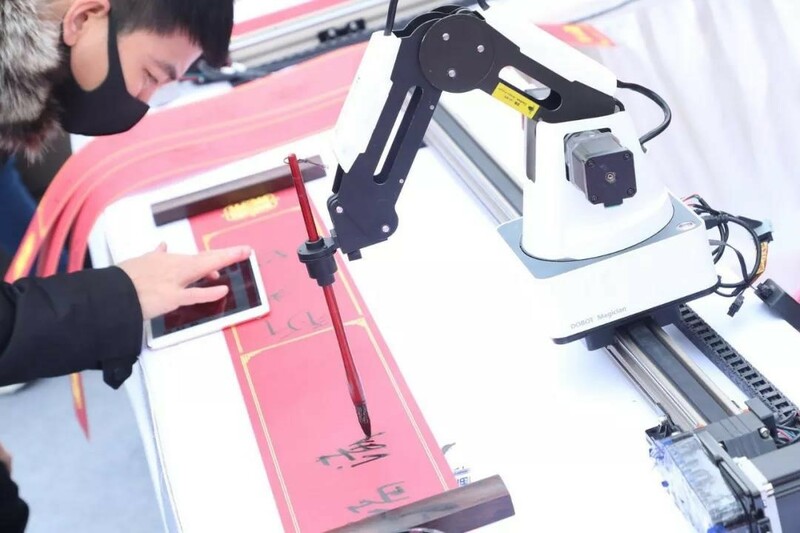 The eye-catching calligraphy robot is exactly DOBOT Magician, a multi-functional high-precision lightweight intelligent robot arm independently developed by DOBOT. The robot is equipped with a powerful resource library of calligraphy fonts. When connected to iPad and equipped with a slide rail, the robot arm can record the handwriting trajectory through the app on iPad and control the movement of the brush to simultaneously reproduce the writing. The on-site citizens were eager to experience the unique charm of combining traditional art with cutting-edge technology. Representing the new retail era, code vendors are at the forefront of the times. The fate of innovative technologies like facial recognition and robotics is intertwined with the emergence of ordinary vendors around us. The purpose of the code vendor fair is exactly to take advantage of technology and favorable policies to help the growth of vendors, promote their values to establish a positive city image and build a digital and modern China. 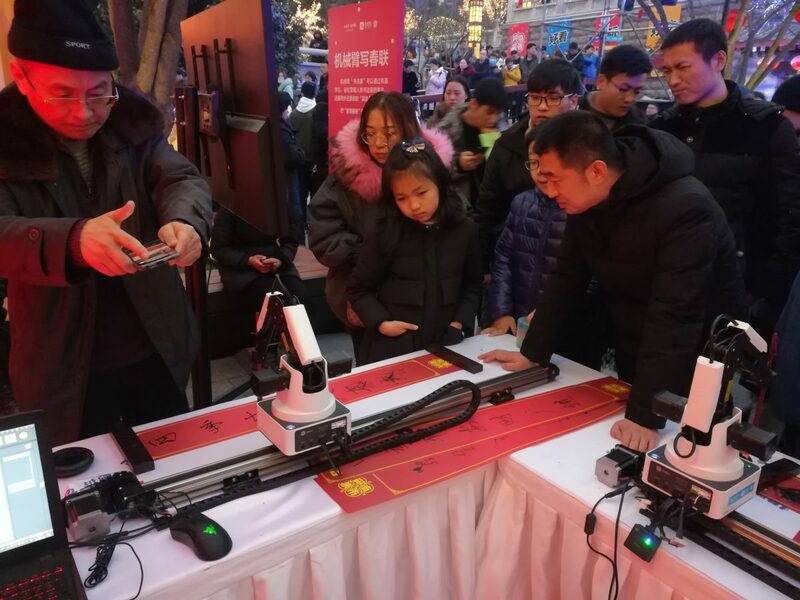 DOBOT is glad to be part of this fair and provides a chance for ordinary people to interact with robotic arms and send a blessing for the upcoming 2019 Chinese New Year.